Hope you all had a nice weekend and are feeling refreshed & recharged for a great week! My weekend was very low key, just what the doctor ordered. So since it is now March and Spring is in the air, I thought I'd tackle a little topic that is near and dear to my heart, how to get that healthy glow! My natural skin tone is a "beautiful" shade of ghostly pale. My dad is 100% Scottish, and I definitely got his genes when it comes to skin tone. I've been called "Casper" one too many times, and I don't even have to ask when picking out make-up/cosmetics based on skin color -- I am ALWAYS the lightest shade they have. It wasn't until recently that I think I came to terms with my "fair" skin tone. In high school and college I fake baked with the best of them, especially before big events like dances and vacations. After moving to Chicago, where you practically need to take out a mortgage to afford regular tanning packages, and realizing that tanning beds truly are as bad for you, if not worse, as SMOKING (yes, tanning beds were recently found to be as deadly as arsenic and mustard gas, how scary! ), I traded my $60 bottles of "tanning" lotion for sunless tanner and even started investing in face lotions & make-up with built-in SPF. Even with my new attitude, I still want to have a "healthy glow," especially now that the warmer months are coming up which means bikinis, short shorts, and pencil skirts without tights (NOOO not the tights!!). I thought I would share with you some healthy tips for getting your glow on without breaking the bank or turning into an oompa loompa. 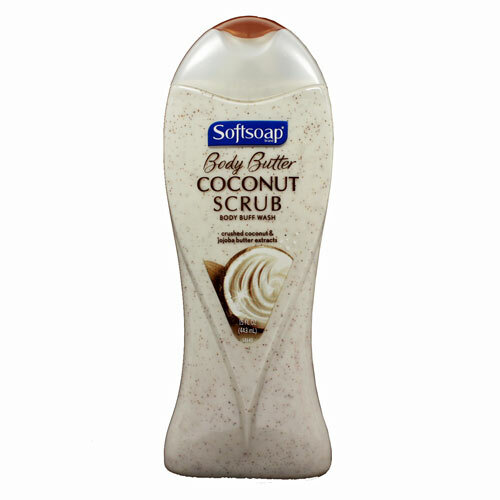 First things first, anyone who is has dabbled with the sunless tanner or spray tanning world knows that before you lather on the good stuff, you MUST exfoliate. After much trial and error, and dozens of recommendations, I started using Jergens Natural Glow Products as my go-to tan in a bottle! I love this product line because it offers 2 different shades (fair to medium, or medium to dark) and it gives you a slower, naturally developing tan, so you won't walk into the office one day looking like Casper and the next like you just got back from Mexico. 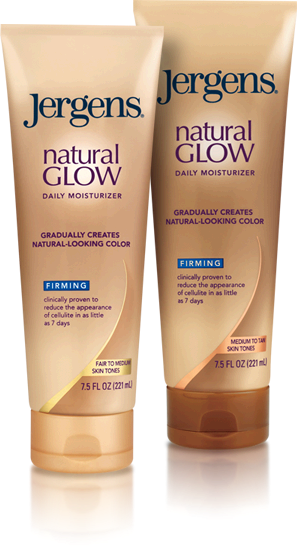 I also like Jergens because the self-tanner is mixed with moisturizer and sometimes I even grab the "firming" version. Moisturizing, tanning, and tightening all in one?! Probably too good to be true, but hey, it's worth a shot! I use the body version and the lotion made specifically for faces, which comes with that built-in SPF I was talking about! The only down side to this product is that it does have a slight fake-tanner smell to it, but it's not nearly as bad as some other products I have tried, so one extra spritz of that body spray or perfume afterwards is a must. It also does sometimes stain my pretty pink bathrobe :( But it comes clean with one wash! Moving on to an option that I will definitely be trying this summer with all of the events & weddings I will be attending...the SPRAY TAN!! An intriguing option I have heard people buzzing about in the city are companies that will actually come and give you some glow in the comfort of your own home. One service that has come highly recommended to me is Glo Air Brush Tan. If you're in the Chicago area, this might be the option for you, because the service is actually only $60 a time and they offer package and group options, including a bridal party package (5+ people) where the bride tans for free! I have had also had multiple people rave to me about the spray tans offered at one of my favorite institutions -- Benefit Cosmetics. The airbrush spray tans offered at Benefit's boutiques are great because they are matched specifically to your skin tone, and they are applied by a human being instead of one of those space-ship looking machines. They also offer either a full or half-body tan, so if you don't plan on showing the world your stems, you can save a buck or two. 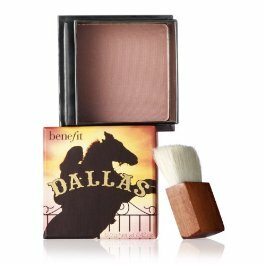 While you're at Benefit, you should also give another one of my favorites a try... the DALLAS bronzer. We all know Texas knows how to do a good tan. Benefit has a whole line of amazing face powders, including bronzers, pretty blushes, and even some combos! I absolutely looove your blog! I read it everyday! 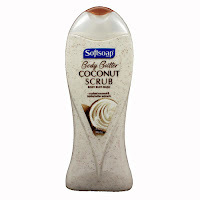 =) I have the same body wash, it smells amazing and makes your skin soo soft!